We had the pleasure of checking out the newly opened Point Royal and The Hotel Bar at The Diplomat Beach Resort on Saturday, March 4th. We were amazed at all the changes that have gone into the recently renovated property. If you haven’t been yet, it’s a must see! First, some breakfast. Point Royal is a Coastal American Restaurant & Bar by Geoffrey Zakarian. In keeping with Geoffrey’s reputation for producing some of the country’s most relevant restaurants, he created Point Royal exclusively for the Diplomat Beach Resort. With an accessible, modern take on a seaside restaurant, the indoor-outdoor venue features the property’s only raw bar and a menu featuring the full gamete of Zakarian’s Coastal American cuisine. Complimented by a center bar focused on fresh juice based cocktails and one of the largest wine lists on property, Point Royal delivers a lively bustling environment and is open for breakfast and dinner daily. Check out our favorites from the wonderful breakfast buffet that we enjoyed during our visit! After breakfast, it was time for a cocktail at the adjacent Hotel Bar before we did some exploring. The Hotel Bar is an indoor-outdoor bar highlighting fresh juice based classic cocktails from historic hotel bars around the world and famous local bartenders in the South Florida region. Paying homage to the cocktails made famous in global hotels, the menu features drinks including the Singapore Sling (The Raffles Hotel), the Nacional Cocktail (The Hotel Nacional) and the Vieux Carre (The Hotel Monteleone). In addition to a list of classic sections like the Manhattan and the Dark & Stormy, the bar celebrates cocktails from recognized bartenders in the surrounding area, including the Papa Doble from Julio Cabrera featuring light rum, luxardo maraschino liqueur, fresh squeezed pink grapefruit juice and lime juice, and the Toasted Marshmallow Old Fashioned from Elad Zvi made with Bourbon, toasted marshmallow syrup, dash of orange bitters, Dale DeGroff’s Pimento Bitters and garnished with mini toasted marshmallows and orange oil. All cocktails are prepared with ingredients from the hotel’s ‘juice commissary’, the source for all freshly squeezed juices and house branded ice, which is distributed throughout all food and beverage concepts on property. 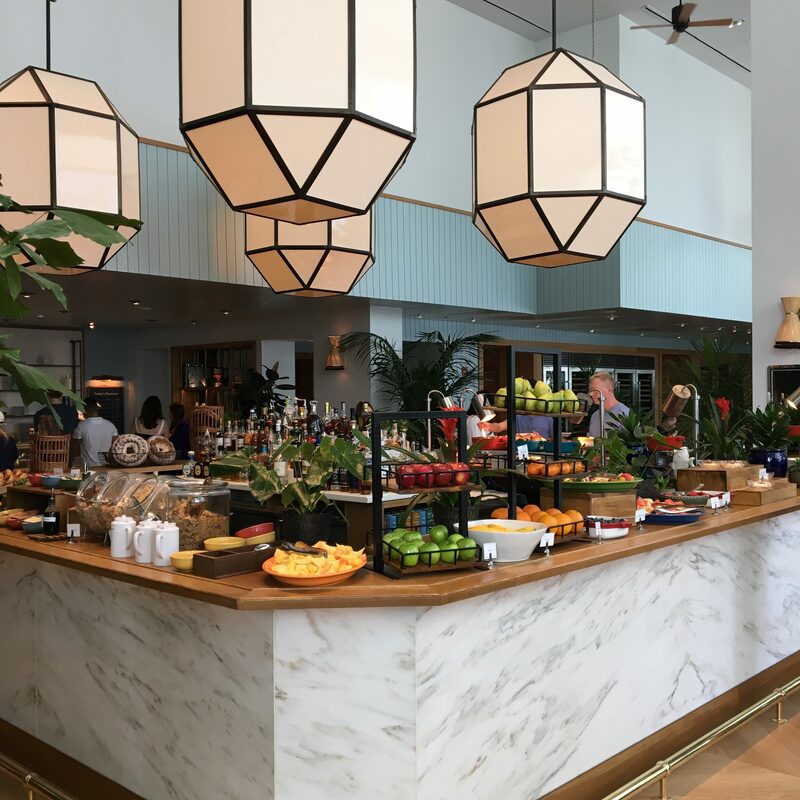 We took a tour of the gorgeous property, checking out some of the other eateries on site such as Bristol’s Burgers, Portico and Diplomat Prime. Then, we made our way up to one of the rooms for peek. Look at that view! Time for a little R&R, we enjoyed some poolside lounging in the cabanas! We had a fantastic time hanging out at The Diplomat Beach Resort in Hollywood, Florida. PS: all visitors receive complimentary parking!